Xiaomi’s Redmi Note 5 Pro is currently ruling the budget smartphone market with its value for money proposition like nothing else in the market. Its main competitors such as the Moto G6 series is announced but not yet launched in most of the countries. So, currently, the only smartphone that can go head to head with the Xiaomi Redmi Note 5 Pro is from the Taiwanese PC maker Asus, with its Zenfone 5 2018 standard variant. There are in total three models in the Zenfone 5 2018 line-up, but the Zenfone 5 standard variant matches everything with the Redmi Note 5 Pro, and in this post, we’ll explore which of them is a better choice and which one should you pick up. Starting with the Spec, there are a few things that are common on these devices, both the Asus Zenfone 5 and the Redmi Note 5 Pro are powered by the Qualcomm Snapdragon 636, and both are paired with either 4GB or 6GB of RAM. Along with that, the storage options on offer are also the same coming at 64GB and both support storage expansion via sd-card. With those similarities out of the way, now let’s dive into the differences among the two budget warriors. The Asus Zenfone 5 seems heavily inspired from the iPhone X from the front and rear both sides, while the Redmi Note 5 Pro also steals from design cues from the Apple iPhone X, but has a distinct front fascia. 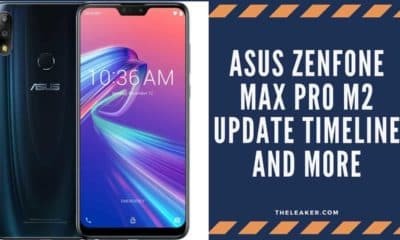 On the Asus Zenfone 5, the front is dominated by a 19:9 aspect ratio display which is also a larger 6.2-inch and carries the Full-HD Plus resolution While the Note 5 Pro has a 5.99-inch 18:9 Full-HD+ display. So, the Asus Zenfone 5 has a slight edge here over the Redmi Note 5 Pro. However, the Zenfone 5 pulls slightly pulls ahead with another trick up its sleeves that is it has a much thinner bezel on the sides, and the Zenfone 5 also features a Notch display at the top. This adds to a distinct look, whether you prefer it not it’s up to a person’s taste. The Speakers on the Asus also outperforms the Pro’s speaker, and are crisp and loud enough from the Dual-Speakers, with DTS sound support via the headphone jack. With the Asus rocking an anisotropic style flashy Glass design/build on the rear, compared to the Redmi’s uninspiring metallic the Zenfone 5 is leaps ahead when compared to the Redmi Note 5 Pro. 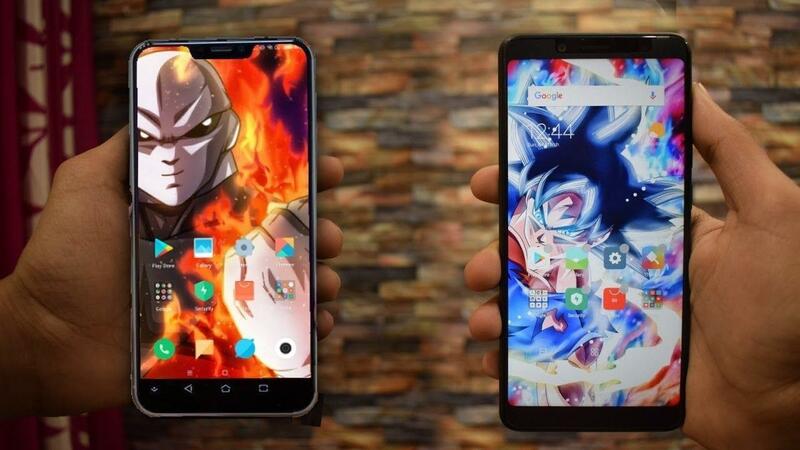 The device not only looks solid but has an overall better build-quality, as well as the back of the device, is much more stylish than any Xiaomi phone. 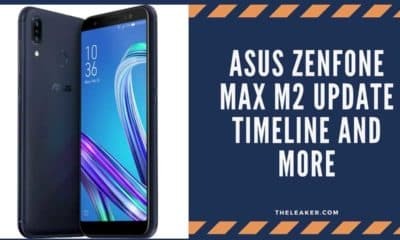 But at the same time the Glass back of the Asus Zenfone 5 could also break if dropped from a significant height, which the Redmi Note 5 Pro doesn’t have to worry. But still, this one goes to Asus hands-down. The Sensor configuration for the Redmi Note 5 Pro is a 12 MP primary shooter with a smaller aperture of f/2.2 with smaller pixel sizes of 1.25µm. While the secondary sensor is a 5 MP depth unit with f/2.0 aperture and even smaller pixel size of 1.12µm. Now the Zenfone 5 has a 12 MP sensor with a larger f/1.8 aperture and larger pixels as well coming at 1.4µm, with the secondary sensor is an 8 MP at a respectable f/2.0 and the same pixel size of it’s rival. Interestingly, with this config, the Redmi Note 5 Pro can produce some pretty amazing shots in the day-light with great dynamic range, and the Portrait shots are on par with some expensive phones. Low-light is decent enough but can’t match the Zenfone 5 in some areas. The Xiaomi Redmi Note 5 Pro gets a slight edge over the Zenfone 5 when it comes to portrait shots as the Note 5 Pro is very consistent when it comes to taking pictures, in Bokeh/depth mode. Asus gets a slight advantage when it comes to video recording as the stabilization of the footage is quite decent compared to the Redmi Note 5 Pro. On the flip side, the Xiaomi Redmi Note 5 Pro again pulls ahead with it’s 20 MP selfie snapper, out doing the Zenfone 5. However, the Zenfone 5 bounces back with it’s AI abilities baked into the camera, with Scene detection, Object detection and more. But it comes down to an individual choice whether you care about AI stuff in a camera or not. Both offer an excellent set of cameras in their segment. Both have custom Skins by their respective OEM on top of Android Oreo 8.0(garnished with lite weight ZenUI 5.0) on the Zenfone 5, while the Redmi Note 5 Pro gets Android Oreo 8.1, with MIUI 9 on top of it. The ZenUI on the Zenfone 5 feels much cleaner and clutter free, and Asus has toned down a lot of bloat on the Zenfone 5. Compared to the MIUI 9 on the Redmi Note 5 Pro. Other than that, Asus’s brainchild has some AI tricks up its sleeves which the Note 5 Pro misses on. Both feature Face-Unlocking abilities, with the Zenfone 5 now getting this feature in a new update which is now rolling out. The Zenfone 5 supports 18W charging but has a 10W charger which is similar to the Redmi Note 5 Pro, which doesn’t have the fastest charging times, the Boostmaster charging tech on Asus is also AI-powered for long-lasting battery health. However, with 10W charger the charging time of the Zenfone 5 is around 2 hours but with 18W charger the phone charges in just 1.30 hours which is impresiive, don’t know why ASUS doesn’t ship a 18W charger with the phone. While the Redmi Note 5 Pro takes around 2-2.30 hours depends on the charger current values. Both feature all the important sensors such as Compass, Accelerometer, Gyroscope. Etc. Zenfone 5 packs a 3300mAh battery capacity with Quick Charging. Both are non-removable units, and lack fast chargers in the box and only supports 10W fast charging which isn’t that fast. Moreover, regarding Pricing the Asus Zenfone 5 will come at a much premium price compared to the Redmi Note 5 Pro which starts at 15k INR and goes up to 17k INR for the top of the line 6GB variant. While the Asus Zenfone 5 might start from 20k to 22k for the base variant. So overall the Redmi Note 5 Pro is a better value for money. 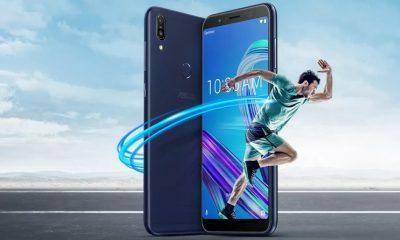 But if you want something unique, or an iPhone X lookalike, then the Zenfone 5 with AI-based capabilities is the one for you.